As you may be aware on the 17th of December 2015, DEFRA announced in a statement and a press release that due to a worldwide BCG vaccine shortage and the need to prioritise available stocks for human use, DEFRA has taken the decision to suspend attempts to source BCG vaccines until the situation is resolved. At this stage it is unclear how long this will last for. Unfortunately, this does have an impact on SBVP. We are at this time, unable to carry out any deployments for 2016 until these vaccines become available. I am sure you will agree, that this does come as a huge disappointment for all those involved after the amount of time, money and effort that everybody has put into the project. We do intend to continue the project once the vaccine is available and we still believe firmly that vaccination is a crucial tool in the fight against this terrible disease. We will be using this time to plan for the future and continue to engage with new landowners and farmers to be able to play a part in the eradication of Btb. We do thank you for all of your support and we hope to be back out vaccinating as soon as possible. Please come along and say hi to the friendly guys raising money for vaccination in Sussex! 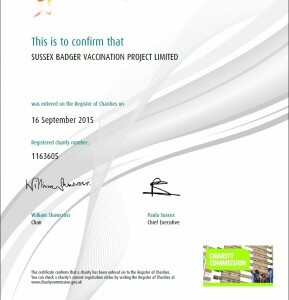 46 badgers have now been vaccinated since the Sussex Badger Vaccination Project starting vaccinating badgers 12 months ago. 35 badgers vaccinated during the 2015 season is set to rise even further within the next month as the season draws to a close. This is SBVP’s first full season, as a rolling project, which will be expanded on each year, as they add further sites and gradually expand across the County. 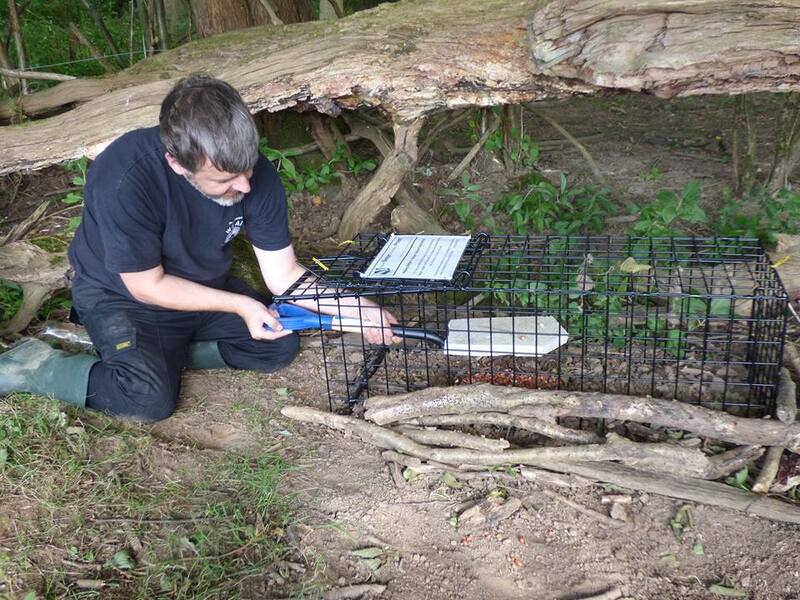 On finishing a recent deployment at a farm in Sussex, SBVP Director and Vaccinator Chris Riddington explained “We caught and vaccinated 5 badgers on this site which is about how many we were expecting, so we are really happy with the results”. Thanks to a lot of hard work from Kate Edmonds SBVP has recently achieved registered charity status. Chris added “it is exciting times for SBVP, achieving charity status will open more doors to fundraising opportunities and ensure we keep the costs to landowners and farmers to the minimum. Badger vaccination is a cog in the disease eradication machine, it is not the only tool available but it is an important one and it has a role to play”. SBVP was formed in 2013, the project is a small non-political group, run by volunteers, which offer farmers and landowners a cost effective vaccination programme to help fight bovine tuberculosis in the area. “We all put the hours in on a voluntary basis because we believe in what we are doing, we are trying to make a difference for the cattle, the wildlife and the livelihoods this horrible disease effects” explained SBVP’s Field Work Co-ordinator Daryl Farmer, SBVPs only paid member of staff who works part time on minimum wage to help keep costs down. “Bovine tuberculosis is mainly a disease of cattle, but it can affect most mammalian species including deer, llamas, cats, humans and badgers. We are often asked why the farming community focuses on Badger rather than other wildlife, this is because of the close interactions between badgers and cattle especially where badgers are able to gain access to cattle sheds and feed bins” explained Daryl. 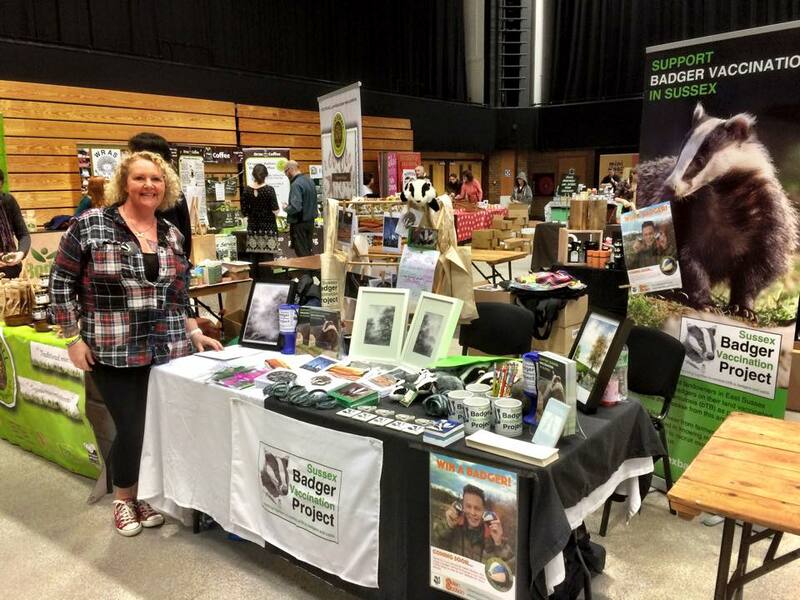 SBVP is also supported by veterinary charity East Sussex Wildlife Rescue & Ambulance Service (WRAS). “This is such a positive step forwards, we know its not the miracle solution to the problem, but it is a valuable tool and a step in the right direction” said Trevor Weeks MBE who is one of the co-founders of SBVP. The group are keen to work with farmers and landowners especially in the Wartling, Lewes and Alfriston areas. 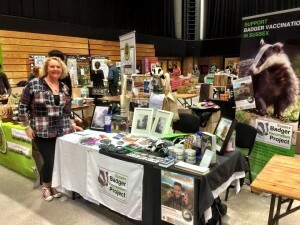 The Charity hopes to keep costs down with fundraising, and also help pay for vaccination in strategic areas of land neighbouring farms where it would benefit the badgers and cattle by doing so, like Friston Forest. 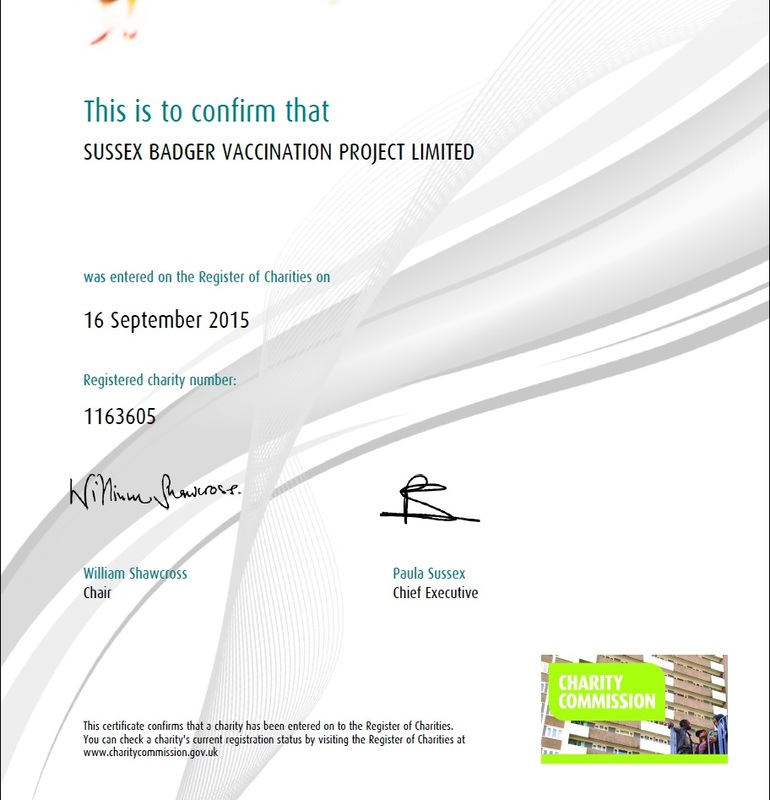 SBVP are looking to raise as much money as possible to help expand the vaccination project as far across East Sussex as possible in both the High Risk and Edge areas. SBVP HIT THE 30 MARK! 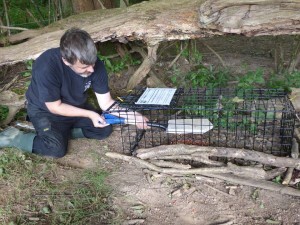 Sussex Badger Vaccination Project have recently finished another successful deployment in East Sussex. It has been one of our more challenging sites, with hot weather one day and rain the next. The team vaccinated 11 badgers and had one recapture. The team have now vaccinated 30 badgers this year alone and our total since the group were formed. is now nearly 50. We have doubled last years numbers already and we still have 4 sites to go. We hope to vaccinate 50 this year! SBVP offers farmers and landowners in East Sussex the option to have badgers on their land vaccinated against bovine tuberculosis (bTB) as part of efforts to eradicate the disease from this area. Because we are a volunteer-run and -led project, we’re able to offer this service at very low cost.